In this edition of DBP (Debunking BitCoin Propaganda), I am not going to attack the premise that the blockchain algorithm solves a decentralization problem. It does. By distributing the information among millions of clients it becomes very difficult to manipulate the ledger, thus all “coins” that exist in the ecosystem utilizing any one ledger will be accounted for until the number of clients becomes insufficient to maintain the ledger. That last little part is important. 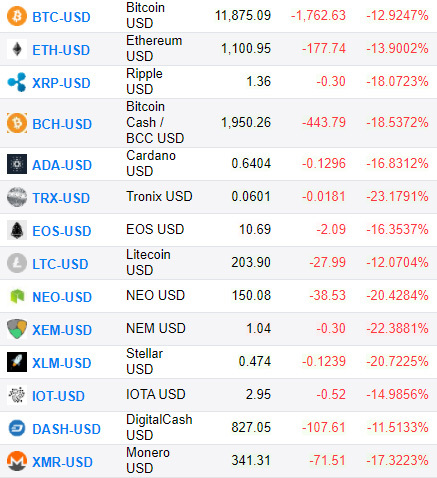 A cryptocurrency will begin to fail when the network supporting it dwindles. Transactions become much slower and the amount of computation becomes much higher as the number of stored transactions grow. If a cryptocurrency fails to grow its network to support the added computation required, it will rapidly lose its appeal due to scalability issues. Couple this with the fact that there exists an infinite amount of ledgers and an infinite number of “coins” and it should be obvious that “blockchain” cannot save any cryptocurrency from being absolutely worthless. I have pointed out how Max Keiser’s argument that blockchain is like HTTP and will usher in the “new Internet” is an argument that works against BitCoin. When the Internet took off, people weren’t going nuts for dot-com stocks because of its innovative use of HTTP, even though HTTP was what allowed websites like Pets.com to exist in the first place. People aren’t going nuts for cryptocurrencies either because of blockchain. Speculators couldn’t care less. What makes cryptocurrency speculation worse is that at least the dot-com stocks of 2000 had growth potential as companies if you managed to pick out a winner. On the other hand, no one is putting money into cryptocurrency companies in this bubble. All the speculative money is going in to zero-sum instruments that will all be worthless once their supporting networks dwindle. There is no company profit and reinvestment of gains back into making the cryptocurrencies better since there is no underlying company to transform resources (e.g. human resources, raw materials) to something more valuable. They are simply pyramid schemes via speculators’ wallets, computational resources and electricity. To see how these distributed algorithms are fallible, take a look at the BitTorrent protocol. BitTorrent is a distributed network protocol that also decentralizes file information over many clients, much like blockchain. If many clients, called “seeds” and “peers”, are sharing a certain file over the network, it becomes much faster to download that file by having multiple sources to sync off of. However, once that pool shrinks due to unpopularity of the file, it is much slower, or perhaps even impossible to download that file. Almost all files on the BitTorrent network succumb to that problem. Movies, for example, wane in popularity over time. There may be hundreds of seeds and peers hosting a movie at release making it easy and quick to download, but a few years later there may only be a tiny fraction of those clients still sharing the movie. The movie becomes harder to find and much slower to download. Imagine that same phenomenon with cryptocurrencies, except you have to additionally account for the added time it takes to sync growing blockchains. If the number of clients on the networks decline with the popularity of the cryptocurrency itself, all the problems in tandem will drive the desirability and utility of that cryptocurrency into the ground. Eventually there will be close to zero “seeds” and “peers” and no one can (or will want to) use that cryptocurrency at all. Just as there are endless streams of movies coming out on BitTorrent networks, there are endless streams of cryptocurrencies using blockchain. When people want to see new movies, they will ditch searching and hosting old ones. Seeing how BitCoin is supposed to be the hallmark cryptocurrency and is now down almost 50% from its peak, it shows that people are as interested in using different “coins” as they are hunting down new movies. If BitCoin fails to continually grow its network, as with any pyramid scheme, it will drop like a stone. By induction, if BitCoin fails, all other cryptocurrencies backed only by a software protocol will eventually fail too. Blockchain solves a decentralization problem but it has been overhyped. The cheerleaders never mention the inherent issues with distributed algorithms. In a way, blockchain will “revolutionize trust” — people will definitely trust each other less when the pyramid schemes collapse. Don’t be fooled by buzzwords. 2018-01-16 9:30 am — nothing says “stable store of value” more than double-digit percentage swings, right? Let’s sort through all the BS in the world one rational thought at at time. Subscribe to the RSS feed, leave a comment and share. Put your mined funny money to use and consider a Monero donation if you liked this content. If you don’t have any Monero/XMR, take a look at my guide.